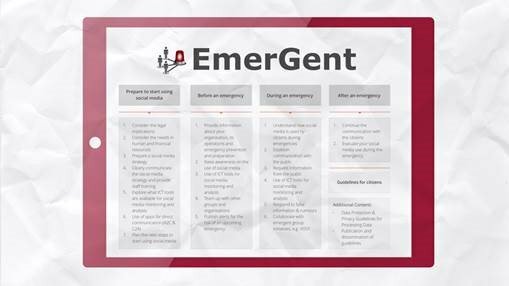 Imagine a world where Emergency Services discover what's going on from Social Media: that's EmerGent! strengthen the role of European companies supplying services and products related to EmerGent’s results. Wherever emergencies or crises occur, ad-hoc communities are built through existing social media channels. These communities are often not connected at all or perhaps are weakly to the emergency management services. 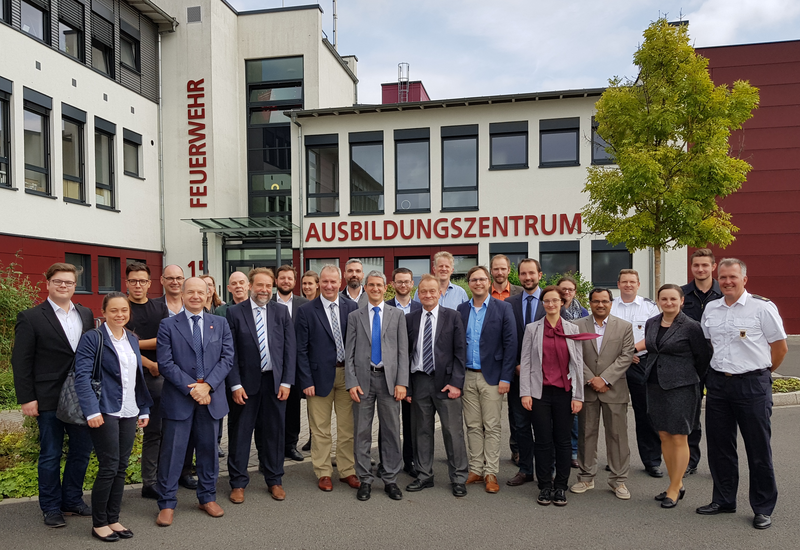 Systematic research project concerning the effective identification and integration of valuable and reliable information from social media into emergency management processes is needed. Analyse the impact that social media can have on citizens and emergency management in all its phases. Show the positive impact that gathering, qualifying, mining and routing information from social media can have on the management of emergencies. Identify the requirements for implementing and evaluating novel methods and tools for integrating social media into emergency management. Provide professionals and the public with guidelines for social media use in emergencies. Clarify the potential for exploitation of social media in emergencies.